Dr. Schöder accepts the following list of insurance providers. Select your insurance provider to see more details. I am a nuclear medicine physician and Chief of the Molecular Imaging and Therapy Service in the Department of Radiology. I have special expertise in oncologic imaging (in particular using PET/CT), as well as cardiac imaging and nuclear medicine therapies. I am an active member of several national and international imaging societies, including the Society of Nuclear Medicine and Molecular Imaging and the Radiological Society of North America, for which I organize and participate in regular educational lecture series. As a member of the imaging and lymphoma committees of the Alliance for Clinical Trials in Oncology, I organize and participate as an expert reader in national multicenter trials. I serve as a reviewer for a variety of imaging and oncology journals. Besides my clinical work, I am interested in how the medical industry is changing and the future of healthcare. I am actively involved in clinical research. My current research interests include: assessing the role of PET/CT imaging in the management of cancer patients, in particular patients with lymphoma or cancers of the head and neck; the introduction and clinical evaluation of new PET radiotracers in oncology; the role of PET/CT imaging in radiotherapy planning and response assessment; and the development and evaluation of new techniques for motion control and quantification, which may aid in the detection, treatment planning, and response assessment of various cancers. I am a member of the disease management teams for lymphoma and head and neck cancer at MSKCC. 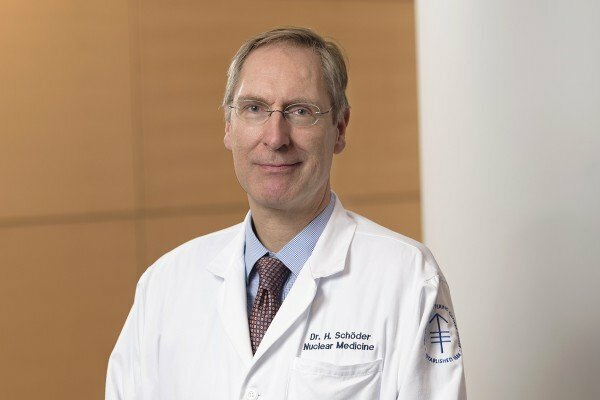 Visit PubMed for a full listing of Dr. Schöder’s journal articles. Pubmed is an online index of research papers and other articles from the US National Library of Medicine and the National Institutes of Health.